Could a lower-end Surface be on the way? Microsoft has started teasing its next major hardware release. On Monday afternoon, the company’s official @Surface Twitter account tweeted out the image below. The photo features the company’s current Surface lineup. Each pictured device displays tomorrow’s date, July 10th, alongside the time of 6am PT. Additionally, to the far right side of the frame is the shadow of the company’s newest device. 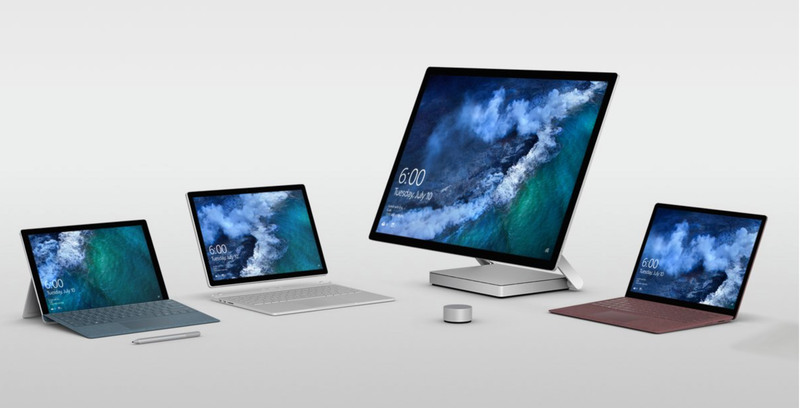 Putting all of those hints together, we’ll likely learn about a new Surface device tomorrow at 9am ET. As for the device itself, the text accompanying the image, “Where will Surface go next?” provides a good hint. According to multiple reports, including one that comes from Bloomberg‘s Mark Gurman, Microsoft will announce a new low-cost Surface tablet aimed at students. One rumour has said Microsoft will call the device “Surface Go”. Whatever the case, we’ll likely learn a lot more tomorrow.